Lotus garden buildings are a great choice for your garden. The sheds are made from corrosion-resistant galvanised steel with a weather-resistant coating. 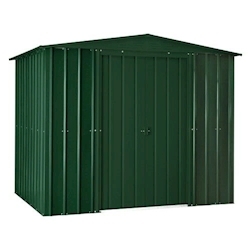 These 12x10 sheds provide plenty of storage, with high security, strength and durability. Metal garden sheds are becoming more popular and available in more styles and sizes.